Apple began taking pre-orders for its iPhone 7 and 7 Plus earlier today, and not surprisingly, some models quickly exhausted their supplies, leaving customers with weeks to wait. The scramble to order an iPhone began at midnight PT, 3 a.m. ET, when Apple and U.S. carriers opened the doors to their online sales sites. By business hours, Apple's iPhone 7 Plus in Jet Black -- a new, highly-polished finish -- faced a delay in shipping that stretched into November, with the smaller iPhone 7 Jet Black reporting a shipping delay of 3 to 4 weeks. 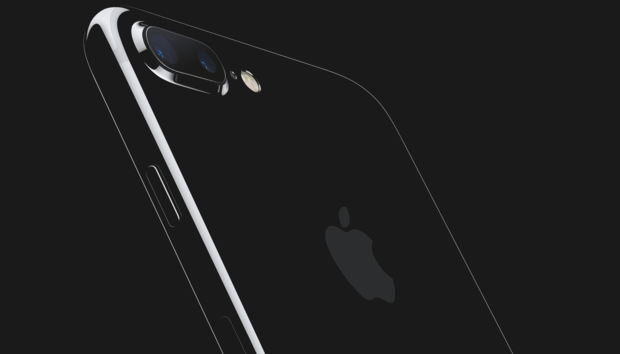 The matte black iPhone 7 Plus was also in demand, with shipping dates out two to three weeks. However, other colors of both the iPhone 7 and 7 Plus were still available for pre-ordering with Sept. 16 arrival dates. Friday, Sept. 16 is the date when the newest iPhones go on sale at retail in 29 markets, including the U.S. and China. It's not unusual for Apple to quickly run through the pre-order allotment of some or even all models, colors and capacities of its newest smartphone. "There have always been supply constraints," said Jan Dawson, chief analyst at Jackdaw Research. "But in the past the demand was balanced across the board." That's not the situation today: The tilt towards Jet Black reflected a "double whammy," said Dawson, who pointed out that it was the hue most desired by early adopters and the finish that relied on a "different, labor-intensive process." The latter, Dawson added, meant it was inevitable to be in the shortest supply. While shortages and delayed shipments may be old hat, Apple has changed one thing about its early iPhone orders: It will not report opening weekend sales on Sept. 19, the Monday after the start of retail sales and the delivery of pre-orders. In a statement, Apple said that it was halting the practice of releasing a number because, "Initial sales will be governed by supply, not demand, and we have decided that it is no longer a representative metric for our investors and customers." But Apple has long told Wall Street that sales in the opening quarter or quarters of each iPhone cycle are dictated by supply, not demand, that they have regularly been able to sell as many as they could manufacture. What's different this year is a new narrative for the iPhone. For the last two quarters, sales have been lower than the corresponding period of the year prior. Apple would be loath to reinforce that tale with a smaller first-weekend number than 2015's 10 million, whether supply-constrained or not. Dawson agreed. "I think it's possible [opening sales] might be down this year," he said.